Teaching the Bible with clarity and passion. Praying and learning how to pray. Worshiping, singing and testifying. Confronting the complex issues of today. We do all this and more, together as a community, through weekly chapel services. 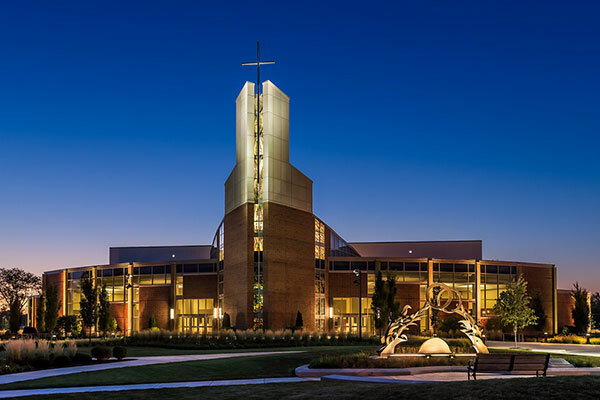 Olivet chapel services regularly feature some of today’s most renowned spiritual, business, political and other leaders who offer instruction and inspiration for the ONU community. Chapel services are held within the 3,000-seat Betty and Kenneth Hawkins Centennial Chapel. In this sacred place, the hearts and minds of Olivet students are being stimulated, challenged and inspired, week in and week out. Chapel services are held weekly on Wednesdays at 10 a.m. and Thursdays at 9:30 a.m., plus additional revival services in the fall and spring. Weekly chapel services provide an opportunity for Olivet students, faculty and staff to worship, learn and grow as a community. You can stream chapel live or watch on demand from our online portal.